• Amanda Comak of the Washington Times writes that Denard Span "is high on the Nationals' list of targets" and Ken Rosenthal of FOXSports.com reports that the two sides "have talked." Whether that means the Twins actually engaged in negotiations is unclear, but the Nationals are looking for a long-term solution in center field and Rosenthal speculates that shortstop Ian Desmond and one of Washington's relievers could interest the Twins. Rosenthal specifically mentions Tyler Clippard, who's been one of the most dominant relievers in baseball since moving to the bullpen full time in 2009, posting a 2.59 ERA and 251 strikeouts in 209 innings while holding opponents to a .184 batting average. However, he also says the Nationals are "reluctant" to trade the 26-year-old Clippard and "unwilling" to move 23-year-old closer Drew Storen, in which case the Twins shouldn't even be engaging in talks for Span. As a 25-year-old shortstop Desmond fills a Twins need in theory, but aside from hitting .355 for two months at Triple-A in 2009 he simply hasn't been any good. Desmond hit .259/.326/.388 in 638 total games as a minor leaguer and has hit .254/.296/.377 in 269 games for the Nationals. He's also committed 54 errors with an Ultimate Zone Rating of -7.5 in 259 games at shortstop. 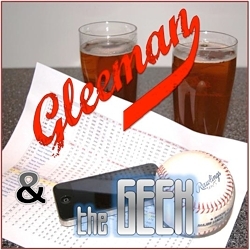 Clippard is very intriguing, but Desmond as the centerpiece of a Span trade would be awful. Of course, with Span still on the disabled list nearly two months after a concussion and taking back-to-back days off while rehabbing at Triple-A it's probably a moot point anyway. • On a related note, can you imagine the look of pure joy on Nationals general manager Mike Rizzo's face when his phone rings and "Bill Smith" appears on the caller ID? Actually, after the Wilson Ramos-for-Matt Capps swap last year Rizzo is probably the one calling Smith. • According to ESPN.com's Buster Olney the Twins have "been looking to trade" Jose Mijares, so Monday's five-run appearance probably didn't do much for his value. Criticism of Mijares has never matched his 3.09 career ERA, but this year's performance clearly deserves to be ripped. He has a 5.47 ERA and 21 walks in 26 innings compared to 32 walks in 105 innings coming into the season. I can't imagine the Twins getting much for him, though, so I'd probably hold on. • Local and national reporters continue to insist Michael Cuddyer won't be traded despite his being linked to just about every contending team looking for a right-handed hitter. There are also doubts about whether the Twins will look to sell anyone, although my guess is that Kevin Slowey will be moved whether they're in sell mode or buy mode going into Sunday's deadline and my hope is that they're shopping (in vain, perhaps) Capps and Delmon Young either way. It wasn't pretty, but Cuddyer mopped up with a scoreless eighth inning after Nick Blackburn, Chuck James, Phil Dumatrait, Alex Burnett, and Mijares combined to allow 20 runs on 25 hits in the first seven frames. He's the first Twins position player to pitch since John Moses in 1990. 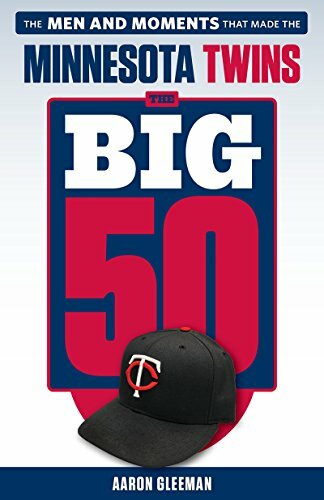 • Last night Joe Nathan tied Rick Aguilera for the Twins record with his 254th save and once again looked very good in the process, striking out two left-handed hitters to preserve a 9-8 win with a scoreless inning. Since coming off the disabled list in late June he's now thrown 12 innings with a 1.46 ERA and 10-to-0 strikeout-to-walk ratio while holding opponents to a .159 batting average. And his overall ERA is finally under 5.00 for the first time since April 12. • Prior to coming off the bench to deliver the game-winning double last night, Joe Mauer was 6-for-35 (.171) as a pinch-hitter in his career. • Kyle Gibson probably would've needed to dominate the International League for the Twins to have called him up already, but instead the 2009 first-round pick had a nice first two months at Triple-A and has struggled of late. Gibson was 0-4 with a 5.17 ERA in June and then took 17 days off before coughing up 13 runs in two July starts, including a career-high five walks last time out. And now Rochester will skip his next turn in the rotation because of elbow soreness. Gibson's ugly win-loss record and mediocre ERA overstate how much he's struggled overall this season, as a 91-to-27 strikeout-to-walk ratio in 95 innings is plenty impressive and he's done a decent job keeping the ball in the ballpark. However, there's no getting around the fact that his recent performance and health are worrisome. Through the end of May he had a 3.60 ERA and 59 strikeouts in 55 innings, but in 40 innings since he has a 6.47 ERA and 32 strikeouts. Between the Twins' rotation depth and tendency to move prospects along slowly thoughts of Gibson being in Minnesota by June were perhaps misguided to begin with, but expecting him to be knocking on the door to the majors by now was certainly reasonable. Instead he's taken a step backward and has looked a lot more like a future mid-rotation starter than the potential second-tier ace Twins fans were dreaming on following his strong pro debut. • Jim Callis of Baseball America reports that Twins signed Vanderbilt southpaw Corey Williams for $575,000, which is double the MLB-recommend "slot" bonus for a third-round pick. Always good to see the Twins spending in the draft and August 15 is the deadline to sign other picks. • Justin Morneau's lengthy list of health issues now includes migraine headaches, which could threaten his goal of returning from neck surgery in mid-August. • Tyler Mason of FOXSportsNorth.com did an enjoyable "where are they now?" piece on Marty Cordova, although he neglected to mention the former Rookie of the Year's frequent cameos in UFC president Dana White's travel videos. • Last and least, just a reminder/plug: I'll obviously have analysis here of any moves the Twins make, but in the meantime you can read my thoughts on all the rumors and trades throughout baseball each day at Hardball Talk on NBCSports.com. It's good stuff, I promise. Watching position players pitch is one of the best things about baseball. It’s like little league. Gibson’s FIP is not as bad as his ERA. I suspect when he has a MLB defense behind him his numbers will be better. He still gets a lot of GB and his SO rate is not so bad. So you are expecting Gibson to be moved to a team with a major league defense? Skipping starts, all of a sudden the guy is not pitching well… isn’t is obvious that the guy is hurt?. Knowing the Twins, in February rhey will announce that Gibson is having some kind of surgery. I really hope I am wrong. Span and Mauer are the only 2 on my do not trade list. If they get midlevel players for Span it will be very troubling. I think Bill Smith should get a job with the Bengals. They would appreciate his level of talent. I thought Reboulet pitched in a game once. 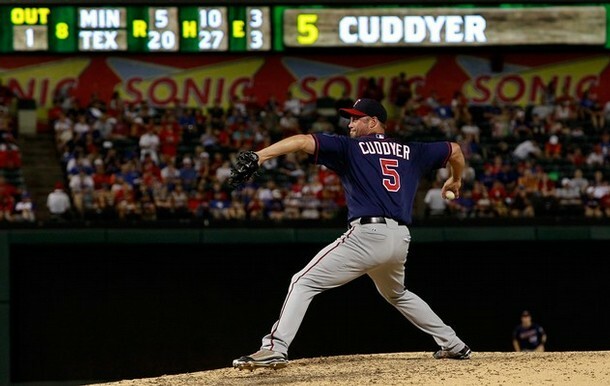 Watching Cuddy pitch was fantastic. I love that guy. Cuddy would have had an even easier inning if Nishioka had actually gone after a ball instead of letting it drop. I can’t believe that got scored a hit. Nishioka then almost collided with Plouffe in left field for the last out. I can’t imagine that Nishioka is going to be with the team (or playing in the Major Leagues) two years from now. Is there any way to void the contract and sell his rights back to Japan? Ian Desmond? That guy isn’t any better than what we have now. Can someone just take Bill Smith’s phone away? 87.3 isn’t mid-80s, it’s upper 80s. Get him stretched out and work on keeping his pitches down more in the zone, and Cuddyer could be the solution the team is looking for in the bullpen. Didn’t Jeff Cirillo pitch once in his season with the Twins? I hope they’re still not sold on the “Speed in the infield” plan that’s been working out so well. Desmond would be a perfect fit in that idiocy. The bubble the Twins live in is amazing. One thing that hasn’t been written about much is how God-awful Nishioka has been this year. What an unmitigated disaster. $15 million? Sheesh, where are you Hardy? Is it even possible for an every day player to have an OPS below .500? He’s pretty close. When he and Butera are in the lineup, it’s like having two pitchers batting in the 8 and 9 slots. Literally. 8 and 9 slots? Nishioka batted second tonight. You know, because in Gardy’s world a middle infielder has to bat second. Way to go Twins! It’s no guarantee of future success, but it shows the Twins are at least willing with certain guys to go over “slot”. I hope it works out well.